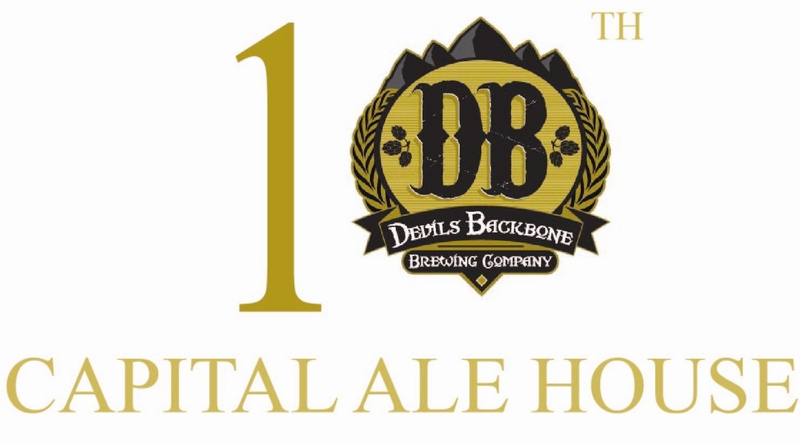 Update: This just in from Taste the Local: Like Capital Ale House’s post on the Dinner with Devils Backbone event and you could win dinner for 4 with Brewmaster Jason Oliver at the Midlothian location. I was hoping there would not be anything to tempt me to delay my trip up to Washington, DC today for Savor. Enter another edition of Capital Ale House’s tenth anniversary beer series this Wednesday June 6th to dash that hope. This time the beer is from World Beer Cup Gold Medalist Devils Backbone. Ten Low (Lemongrass Oatmeal Wit). It is made with malted & un-malted wheat, pilsner malt, acidulated malt, flaked oats, German select hops, Belgian ale yeast, coriander, and lemongrass. Head out to the nearest Cap Ale location for the tapping at 6pm. Brewmaster Jason Oliver will be at the Midlothian location to tap the first keg. As much as I’d like for you to save me some for when I get back into town, I doubt what will surely be an amazing beer will last that long. So enjoy! No worries, there will be plenty. Not to mention the Imperial LOW- a version he brewed for us as well that will be released at the end of the month.